The lamellipodia is a distinct region of the cell that facilitates cell motility and various mechanosensing mechanisms. 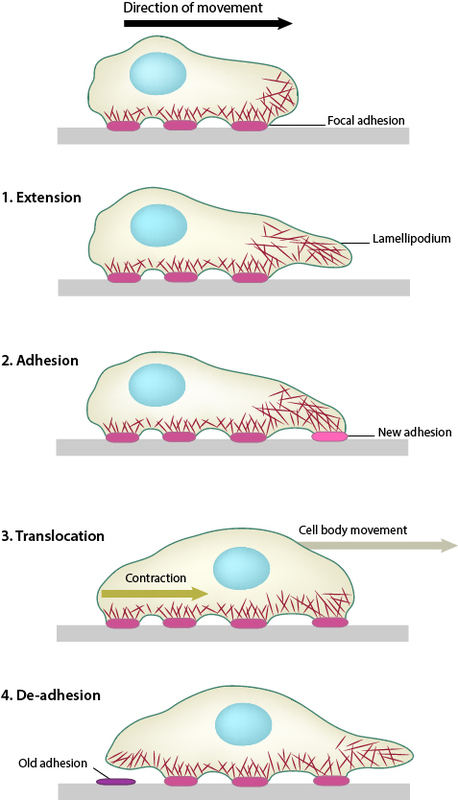 Lamellipodium assembly can be described in a series of defined steps, many of which involve processes related to cytoskeletal dynamics, and which utilize several “functional modules”. The actin cytoskeleton plays an essential role in the formation and function of the lamellipodia. Lamellipodial actin filaments are highly dynamic, especially compared to those of the lamella  and it is due to their dynamic nature, and the constant cycles of actin filament polymerization and actin filament depolymerization that the protrusive force required to stretch the membrane and allow the lamellipodia to spread, is generated. The above mentioned activities produce net forward/backward cell movement or spreading of the plasma membrane in a specific direction (aka polarized movement). What biopysical or biochemical factors drive lamellipodia function? It should be noted however that the specific biophysical and biochemical parameters that are altered at each step have been difficult to measure due to the wide variety of motile structures that can be found in each cell at any given time. For example, migratory fibroblasts exhibit lamellipodia protrusion and retraction, ruffling, filopodial protrusion and retraction, bleb protrusion and retraction, trailing edge retraction, and quiescence in neighboring regions of the cell edge . Fortunately, recent advances in technological systems that measure the temporal and spatial movement of single proteins in specific cell structures, whole cells, and tissues has greatly expanded our mechanistic understanding of cell motility and the composite functional modules  (reviewed in ). Surprisingly, recent work has suggested that the basic mechanism for polarization and directional movement lies in the microtubules, which can be modified by their interaction with the actin-myosin system and cell-substrate adhesions . 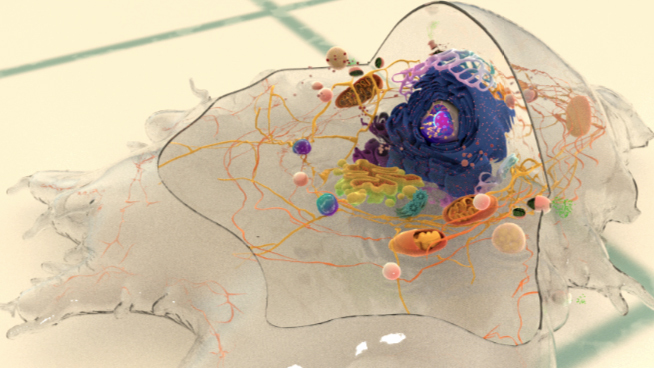 Although there are numerous details that remain unresolved, it is abundantly clear that mechanical mechanisms are essential for coordinating the physical and biochemical processes that determine cell shape and locomotion.